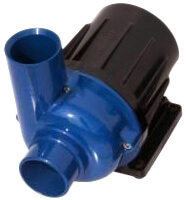 Blue Eco pumps, up to 50% less energy consumption! 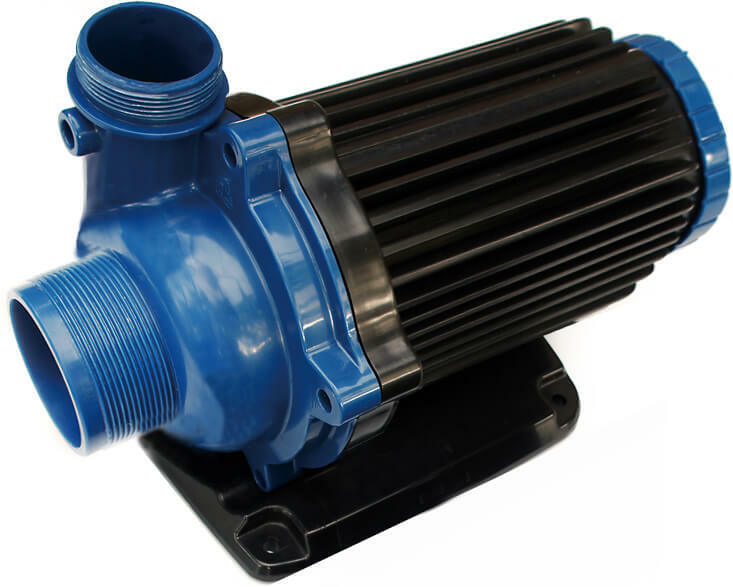 Adjustable energy efficient pond and pool pumps! benefitting not only your electric bill, but also CO₂ reduction and the environment. water capacity. 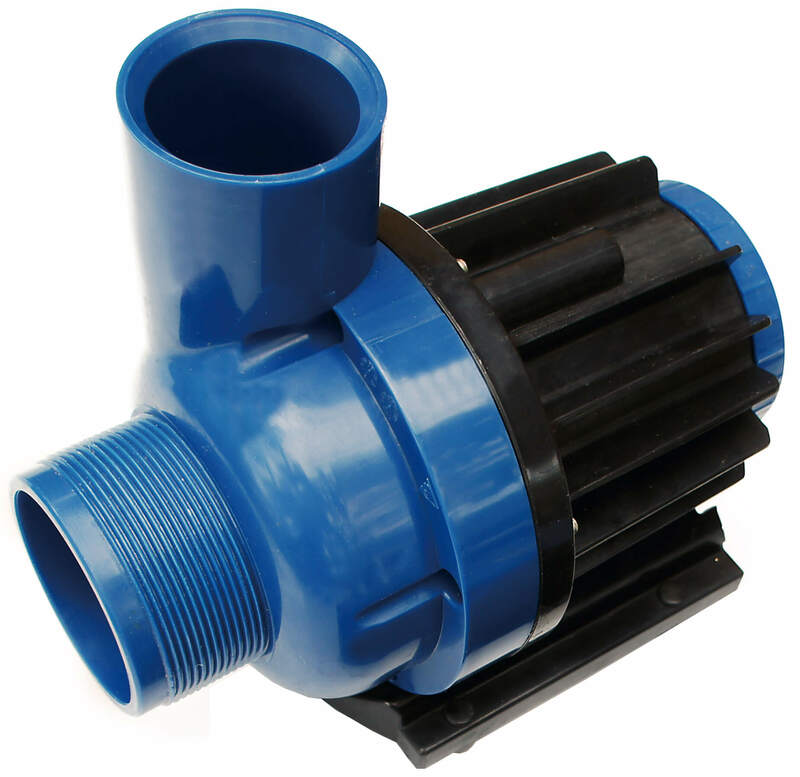 The pump head is made of Duplex, making it 100% resistant to chlorine and seawater. The Marine version is specially designed for (saltwater)aquaria, but all Blue Eco pumps are saltwater proof! 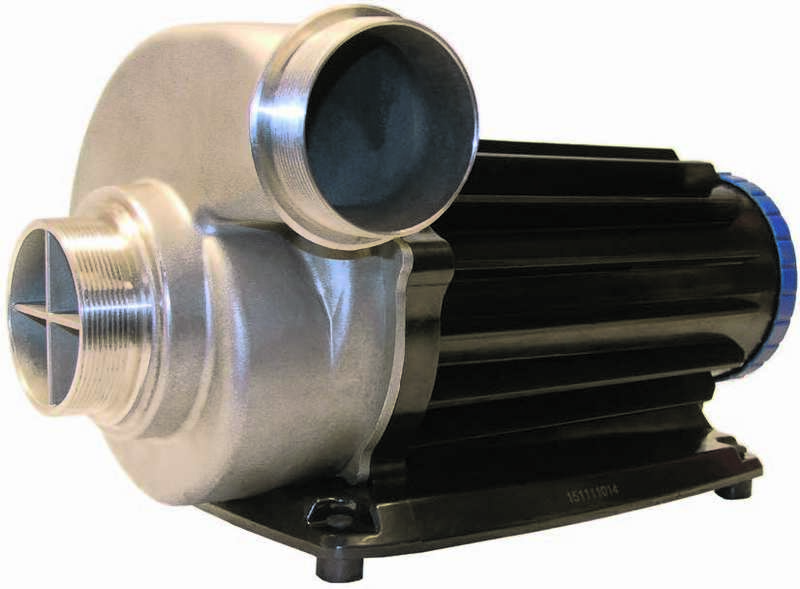 The Marine has smaller connections (inlet 40/50mm, outlet 40/50mm) and has a thicker epoxy housing to reduce noise. The 240/320 use the same pump but have different controllers. A 240 watt model is a 320 pump with a 240 watt controller. This controller is similar to the 320 watt controller but has a smaller True Sine Wave power module. As of 2016, these models are provided with timer programs, cruise control and dry running protection. Connections 240/320: inlet 2½” male thr., outlet: 50/63mm. These models are suited for the heavier work. Also this controller offers many extra options, like 5 timer programs that can control the pump capacity and duration, the cruise control option and a full automatic protection against dry running. Even the possibility for a second, external, control panel for remote control can be installed. 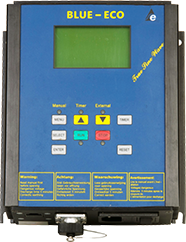 Like the 240/320, the display shows the hour counter, power consumption, amperage and RPM but also offers a vast number of messages to indicate problems, etc. A Blue Eco pump can pay for itself within one year. Up to 50% less energy consumption, thus environmental friendly and good for CO2 reduction. Connections: 500/900/1500/2200: inlet 2½” male thr., outlet: 2” male thr. 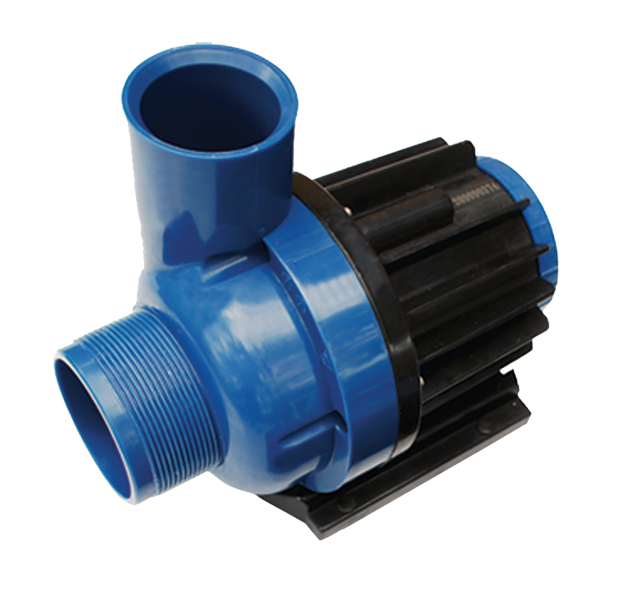 Blue Eco 900/2200 with 4FLOW pump head: 3” Male threaded (inlet and outlet).